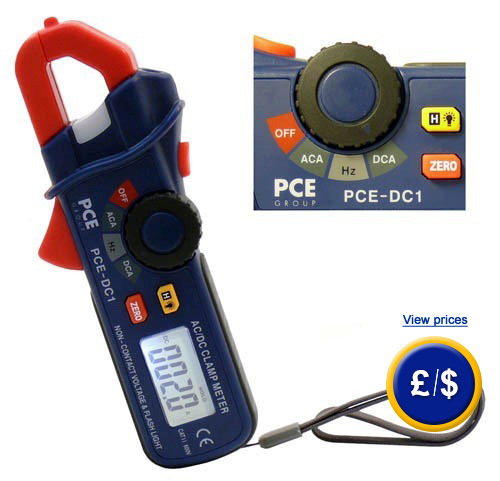 PCE-DC1 clamp meter is designed to indirectly detect AC/DC current and frequency. 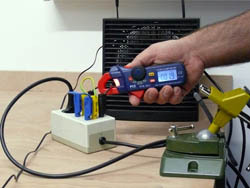 The clamp has white LEDs which illuminate the point of measurement and test the voltage without contact. 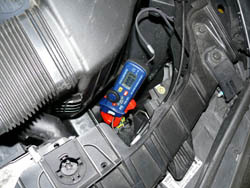 Small dimensions of this device allow to take measurements in places with limited access. The backlit display ensures easy reading even in places with poor lighting such as electrical cabinets or cabling ducts. Testing voltage without contact helps during the examination of dangerous power lines, and it makes it easier to detect the location of cuts in power lines. 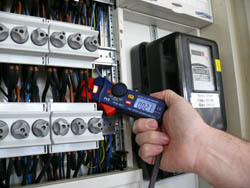 Here is an overview of all the clamp meters available at PCE Instruments. 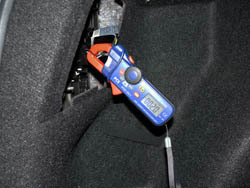 For companies that wish to incorporate the clamp meter into their group of tools for internal control or to perform annual recalibrations. ISO certification includes a laboratory calibration and a document with all the measurement values and the name of the company or a customer.